Customers will provide sensitive data on tickets. This helps you secure that data. With the advent of the GDPR and other similar privacy regulations around the globe, its important that you offer your customers methods to secure their data. 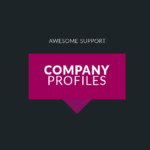 The Private Credentials add-on for Awesome Support give your customers a way to securely add sensitive data to tickets – data that is automatically removed when tickets are closed. Customers tend to post private data in support tickets – whether you want them to or not! From credit card numbers and passwords to health information – they inadvertently post private data in a medium that is not fully encrypted. With this add-on however, you can collect sensitive information and store them encrypted in your database. Configurable with up to two additional layers of encryption, you can provide a safer environment for your users to provide sensitive information. In an era when everything is password protected, a single ticket can easily require multiple credentials for multiple systems. This extension allows your users to enter as many credentials as needed, all neatly segmented into their own data card. The user simply clicks a button, enters the private data and pushes the “save” button to have confidential information saved to the ticket. Ticket agents are notified on the ticket and can simply click a link to pop up the credentials. As soon as the add-on is activated, every credential is encrypted and stored in the database. A second encryption layer (highly recommended) is available by creating a key in wp-config – with a value that is unique to you! Good security is a multi-headed beast. This add-on will not grant you perfect security by itself. You still need SSL, good network firewalls and other security protocols. But, it presents an additional barrier to would-be hackers interested in collecting your customers sensitive data. When a ticket is closed, all private data associated with the ticket is automatically removed from the database. This reduces the amount of sensitive data that you store in your databases, making it a less attractive target for hackers. Credentials are not shown unless the agent actively chooses to view them. Your customers can delete their credentials at any time. New: Complete revamp of the user experience with a full-screen lightbox instead of tabs. New: Add a new separate field to collect a URL. Tweak: Allow height of PC window to grow to 100% - makes it more compatible with other add-ons that also use the WordPress thickbox functions. - Tweak: Cleaner CSS to prevent conflicts with other add-ons and plugins. 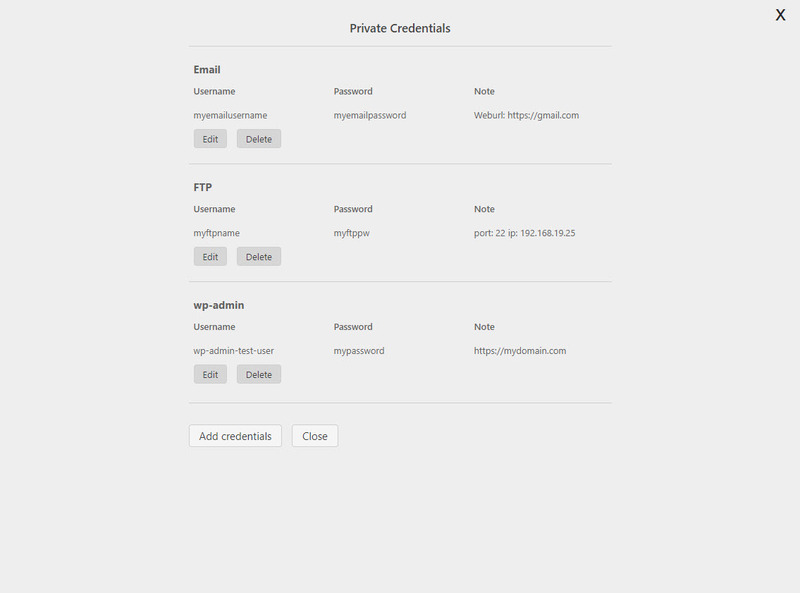 - Tweak: Moved the PRIVATE CREDENTIALS button to the BUTTON bar on the front end. - Fix: Close button on back-end asked to confirm save even when nothing had changed. - Tweak: Set maximum number of credential tabs to 5 instead of 3. - Fix: Check if user is logged in before checking view access in private_credentials_form(). - Fix: Stop the plugin from loading resources on pages when not needed. - Misc: Code formatting and documentation. - Fixed: Incorrect error message in status bar when no credentials saved to ticket. - Fixed: Init credential to empty array. Fixes tickets list column count. - Added: Notification in status bar of popup to indicate decryption failure. - Added: Tickets list column showing # of private credentials on each ticket. - Added: init_credentials() sets initial state and allows calling by ticket id for retrieval of credential count. - Fixed: Reply post was triggering save_hook(). - Added: Second check to ensure user has view access to current ticket. 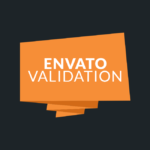 - Change: Use of new $post_id value in wp_footer() hook rather than get_the_ID() when rendering HTML form. - Added: $post_id var to save id initially.